I smell a class action lawsuit! … the breach was possible due to the company’s failure to patch a critical vulnerability in more than two months after its disclosure. Following the incident, others started highlighting holes in Equifax’s cyber security, including unpatched cross-site scripting (XSS) vulnerabilities reported to the company more than one year ago, and the lack of many basic protections. I had a conversation with some folks at the F.P.C.A. meeting regarding concerns about the quality of internet connections provided by some of the large local vendors. Thus I am posting some links to test sites, with a local (614) flavor. First, here are test sites for our major carriers in the Forest Park / Northland area. These are all “nearby” as the topology of the internet goes. Start with your carrier. If you get good results there but have trouble with others, your provider may have connection problems with the wider net. Note: flash-based test sites may not work with some browsers (e.g. Chrome, Safari. …). Tell your cable company to update their test sites! Here are some other good test sites. DSL Reports – http://www.dslreports.com/speedtest has other tests, and forums, as well. SpeedOf.Me (10/2014) works well on mobile devices, as well as desktop computers (via HTML5 – no flash or java). For even more just plug “Speed test” into your favorite search engine! Most of these require flash. The search above can find even more resources! Have you ever wanted to subscribe to one of those neat Calendar feeds offered on sites such as the Calendar on Forest Park Civic Association? Then you can have it all right there — on your desktop or your mobile device. Note that subscribing is not the same as importing. 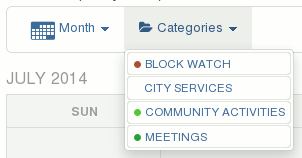 Importing gives you a snapshot of items on the Calendar at the time it is taken. Subscribing connects you to a live feed that will update itself when something changes on the Calendar! 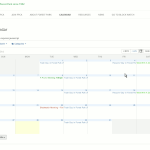 The Calendar discussed here is run on WordPress with the All-In-One-Event-Calendar plugin. While specifics may vary, general principles will be the same with many of the calendars you encounter. 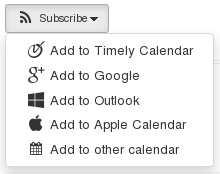 Here’s how you can Subscribe to a Calendar Feed. Find the Subscribe widget, at the lower left part of the Calendar. Click on it with the left mouse button – or mobile equivalent. 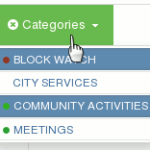 You will see a drop down menu from which you can choose the best match for several types of calendars which you may have. You will likely be automatically be directed to set up your Calendar feed in the appropriate application. At the top of the calendar find the “Categories” widget. Click on the “V” on its right edge with the left mouse button – or mobile equivalent. 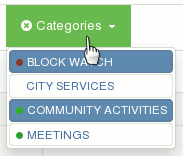 You will see a drop down menu from which you can select categories. The Debian Mozilla team provides various versions of some Mozilla related packages for use on different Debian systems. The following wizard helps you to find the packages suitable for your system. WARNING: Iceweasel is gone. Please update your apt sources. Very recently the Debian Mozilla Team has made some changes concerning the latest release of Iceweasel and installing Firefox. Up until a few days ago you could add a line to your sources list (see below), download and install the keyring then install the version release of Iceweasel which tracked the Firefox release cycle. Now that’s all been changed. Depending on your preferences it could be for the worse or the better. Now you only have the option of getting the ESR version (38 ESR) of Iceweasel or the latest Firefox release. In order to stay with ESR add this line. You most likely already have that line and won’t need to do anything. If you want the latest Firefox add the following line and then run the following command. Make sure you’ve added the key ring to authenticate the packages. The only tricky thing is that this will remove the icon/link for Iceweasel in your Activities Bar. Drag it to the left and stick it where you want it on the Activities Bar. It seems that Google has seen fit to drop production of the 32-bit version of their Google Chrome Browser. openSUSE and Fedora likewise no longer seem to have a 32-bit versions available. WalMart’s online ordering system is atrocious! Just to warn my friends: WalMart’s online ordering system is atrocious! Avoid at all costs. I recently had occasion to order a couple of things from WalMart online, via their “ship to store” system. It was a disaster. I placed an order on Monday September 7 for a couple of bicycle helmets at the Morse Road store in Columbus. The inventory (mis)management system assured me that they were in stock and could be held for pickup, and that I would soon get notification. We’re sorry to tell you that the item(s) below isn’t currently available at the Columbus Walmart. However, for your convenience we’ve reserved your item(s) at a nearby Walmart. You don’t need to take any further action, and your order is now ready for pickup. The new order number is #xxxxxxx-xxxx. If you are unable to pick up your item(s) at this store, please initiate a cancellation by 4:44 a.m. on 09/08/2015. Soon after completing my order(s? ), I checked my credit card transactions online, I noticed that TWO charges were listed as “pending” for the amount of the purchase. I figured that the one for the transaction WalMart had labelled as “cancelled” would be deleted when it became obvious that I was going to pick up the items a different location. …. NO WAY!! The next morning was the first I heard (via email at 6 a.m. )that the Whitehall pickup had NOT been cancelled … and I could not cancel it online! The order XXXXXXXXXXXXXX that we placed is ready for you to pick up at the store you selected. I totally understand that you do not longer need these items. Unfortunately there are system limitations that will not allow us to make any adjustment on Pick Up Today orders. In this case, to amend this situation I will kindly recommend you to contact the store you selected directly at (614)239-7509 and they will be able to better assist you with the refund, or you can wait for this order to expire, any item that isn’t picked up within 14 days of arrival will be canceled and refunded, your order should expire by September 22. I eventually broke down and called the Whitehall store, figuring it would be “due diligence” before attempting to deal with the WalMart problem through the credit card “dispute resolution” procedure. I was passed through several parties, all the while attempting not to take it out on the workers. When I finally got the “manager,” I was advised that the person who would need to cancel an order was gone at 7:30 p.m. (even though the department was open until 9:00 p.m?). With WalMart’s vaunted inventory management system, why can’t they more quickly know what is actually in stock? Is “shrink” that bad that they could not come up with two helmets, when their system seemed to indicate several in stock? Why can’t the same system facilitate easily cancelling my duplicate order, then notifying the store to return items to shelf? Make a pilgrimage to Whitehall (first suggestion when I called that store! ), and hope that someone could actually help me. Call the credit card company, and start a “dispute resolution” procedure, which could take a while to resolve. I have yet to resove this. I’m so mad at WalMart I’m ready to spit! Perhaps I should just call the credit card company, wait for them to reolve it, … and then studiously avoid WalMart? You too have been warned. I recently plowed through this voluminous tome. Due to its length, I imagine more people have read about it than have actually read it. Still, it was worthwhile. If you just want the gist of Piketty’s arguments, you might focus upon the Introduction and Conclusion. If you are up for more – including the thorough and exhausting statistical case – the whole tour might be worth the journey. Piketty creates a compelling case, buttressed by exhaustive assembled historical evidence, that the growing worldwide (and domestic) inequality is not only dangerous, but inherently structural. His argument shows it is built-in to capitalism. Thus regulation and intervention is not only desirable, but necessary to save capitalism from itself (much as FDR did in the United States following the Great Depression). Piketty’s mechanism to save capitalism from itself involves policies decidedly unpopular with some of today’s “deciders,” though necessary to save them from a fate similar to that Karl Marx might have imagined for their forbears who “sold the rope.” Indeed, the concentration of wealth leads to a concentration of political power and deprivation to those without power such that the system cannot be maintained without significant repression (a la Mussolini, Hitler, Franco) — or it will collapse in violent revolution. Piketty recommends a tax on capital, including wealth itself as well as inheritance. The irony is that while this is unpopular with those it impacts, it would increase their quality of life as it increased the common good. The difficulty is that for this to be done effectively, it necessitates much international cooperation, lest nations and regions are played against each other in a bidding war to the bottom. This is an important book: for citizens and theologians, as well as economists! After all, we don’t want to live in a world where the many suffer (and the earth itself cries out) just so a few can live in regal splendor. Of course, there are those who think Piketty does not go far enough (see below). For those of us who are persons of faith that bears a certain resonance. We are not inevitably tied to any earthly system, especially one in which “the past devours the future.” Instead, we are looking to the future in hope, with the redemptive possibilities for all creation which God calls us to work towards. (And we need hope, when one considers the trends Piketty reveals!) The recent Papal encyclical regarding the challenge of Climate Change is evidence of Christian hope! For some more commentary on and summary of the arguments of Piketty’s Capital in the Twenty-First Century, you might check out the following — or even read the book! The Guardian: Thomas Piketty’s Capital: everything you need to know about the surprise bestseller. For the case that perhaps what Piketty advocates is not enough, see The Compelling Conclusion About Capitalism That Piketty Resists in Truthout. I am VERY irritated with the Columbus Dispatch. After hyping a “Special Edition” for at least a week before the Ohio State University football Buckeyes played in Monday night’s championship game, they FAILED to deliver to this long-time subscriber! I noted an email apologizing for a late paper, and assuring me it would be delivered. Silly me. I assumed this meant I might actually get to read all about it upon returning after a hard day’s work. Wrong! I must remember what experience has taught me concerning Dispatch circulation: always call right away if the paper is not there, since no one answers the phone after some time in the morning. I then tried the online “chat” line in Subscriber “Service.” That, of course was unstaffed, and eventually offered to take a message. I even sent an email to Subscriber “Service,” offering to forestall griping about this on social media, if they’d just get back to me. I don’t want a paltry day’s credit I want my darned newspaper!!!!! Benjamin Marrison is quoted as saying “The last thing we want to do is irritate our readers.” I’d say the Dispatch has done a great job at doing just that!!! After posting this I received an email from Carol Huddleston, Customer Service Manager at The Columbus Dispatch, at 5:38 a.m. Thusday. Upon calling her, she apologized for the problems and saw that a full copy was delivered later Thursday. Bottom line: the D has some good people working for it — if you can get through to them. 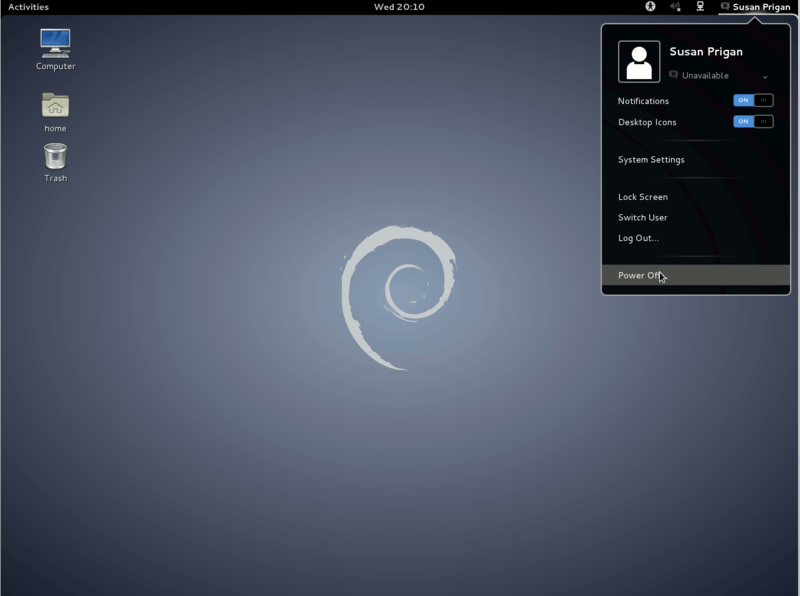 Did you know that you have a choice of Desktops in Debian 7 Linux (“Wheezy”)? You can choose “GNOME, “and get the latest and greatest GNOME 3, with the heads up display and all the goodies. 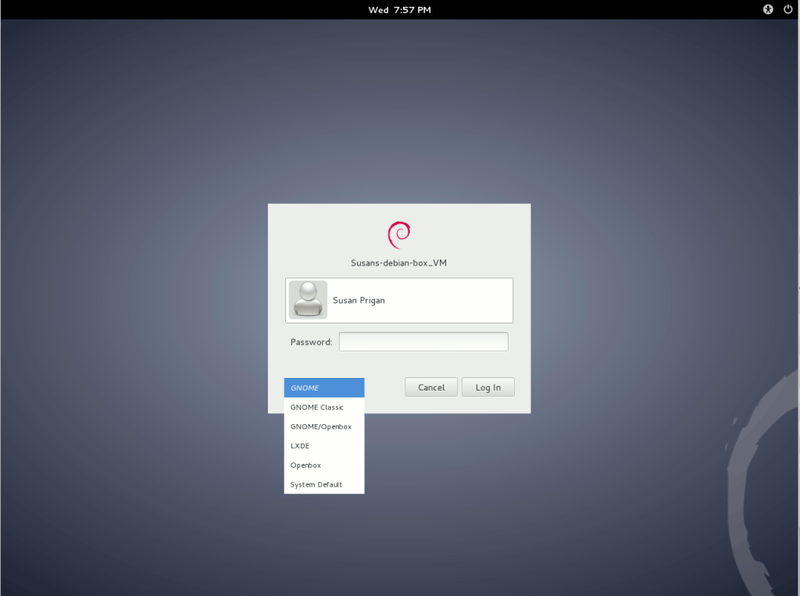 Or, you can choose “GNOME Classic,” and you will get something much like the old GNOME 2 interface that many loved. There are also other derivative desktops following this poular design, including MATE and Cinnamon. (More pix of GNOME Classic) (If your graphics hardware cannot handle the load, you automatically get “GNOME Classic.”) I remember when GNOME 2 debuted. It preceded Apple’s desktop — and included many things that looked amazingly similar when that came out. the ultra-lightweight LXDE (shown among the choices here). the highly-customizable KDE 4 – more pix. Click on links in the text above to see more about some of these desktops.